← Throwback Thursday….. Sort of….. 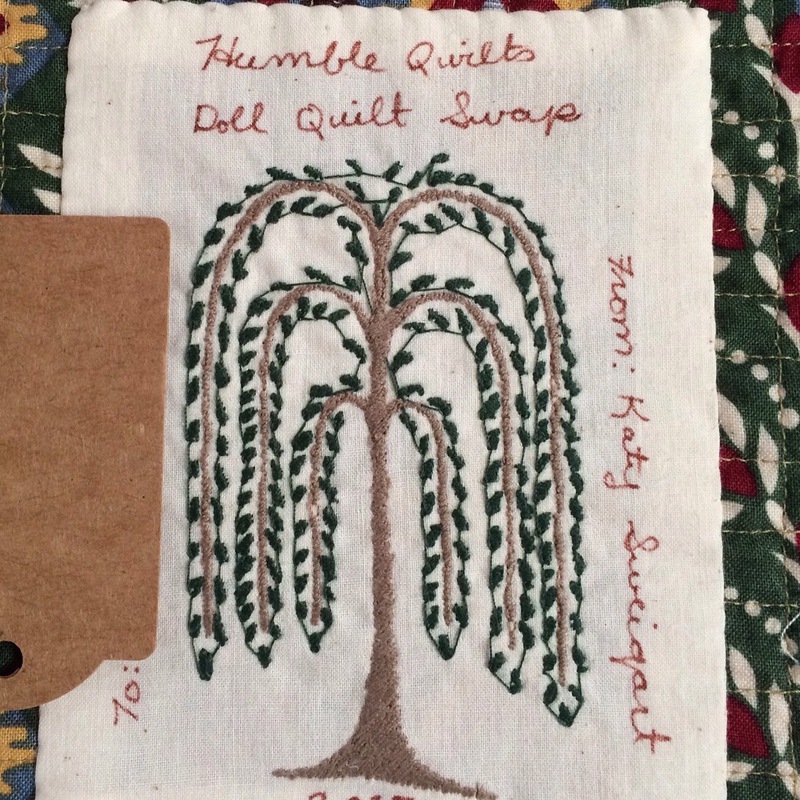 I recently took part in a swap hosted by Lori at Humble Quilts. 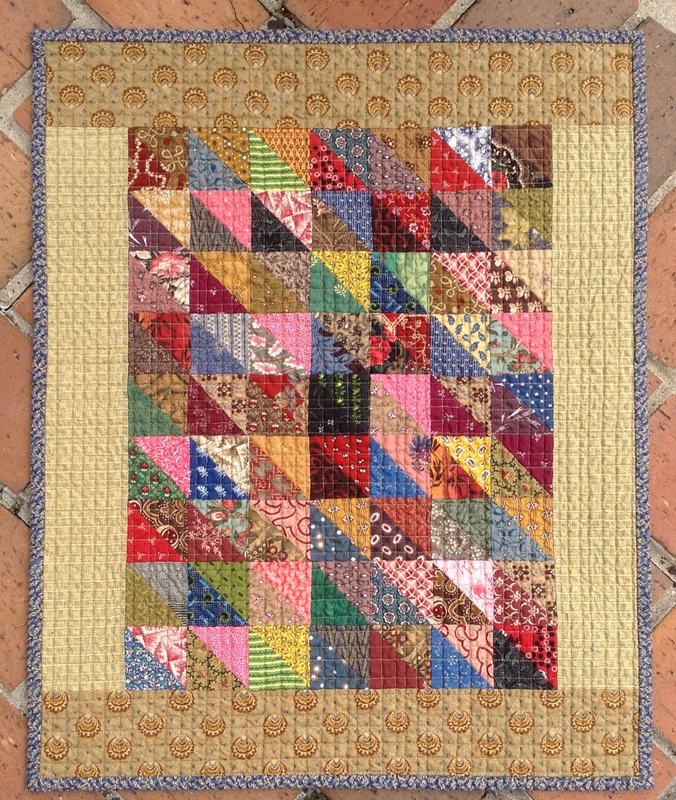 Since my partner, Janet, has now received her quilt from me, I can show you what I sent. Janet posted about it on her blog, Mrs. Sew n’Sew, here. I am so glad it arrived safely and that she liked it! And this week, I received the quilt Janet made for me! She also posted about it here. Isn’t it gorgeous? She even hand quilted it! I love this so much. I feel so lucky! Here is a picture of the back. I am crazy about double pinks and indigos. 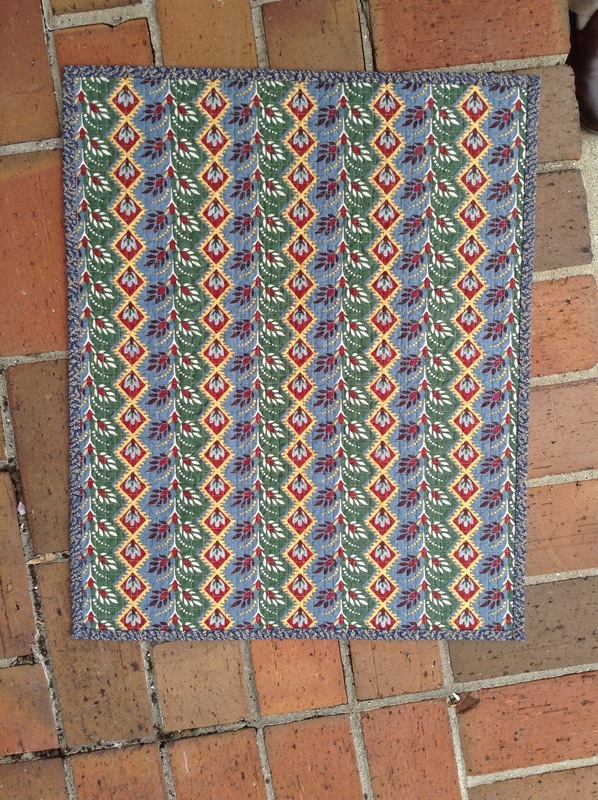 This will look great with my recently finished vintage log cabin quilt too! Isn’t that beautiful fabric? Thank you so much, Janet! Linking up with Crazy Mom Quilts, Richard and Tanya Quilts, Confessions of a Fabric Addict, Quokka Quilts. ETA: THe Link up for Lori’s Swap is up! 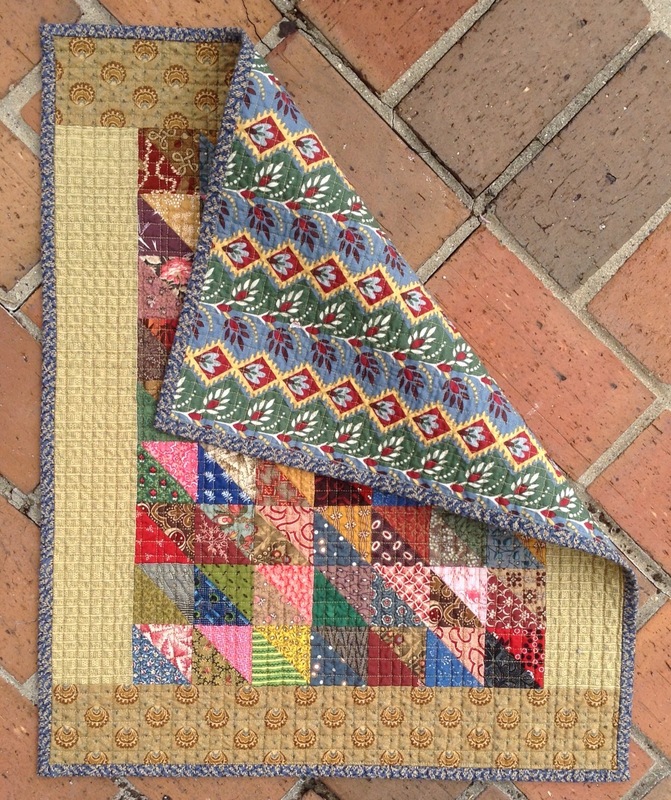 You can check out all the little quilts from the Humble Quilts swap here. Love the detail you put into your label, I like the quilt too ! The blue and pink combination looks lovely, Janet did a great job. I love your HST’s too, the backing was perfect. Both quilts are just gorgeous! They’re both absolutely fabulous! You both are just so talented. Oh aren’t they both just so beautiful! You’re both very talented! 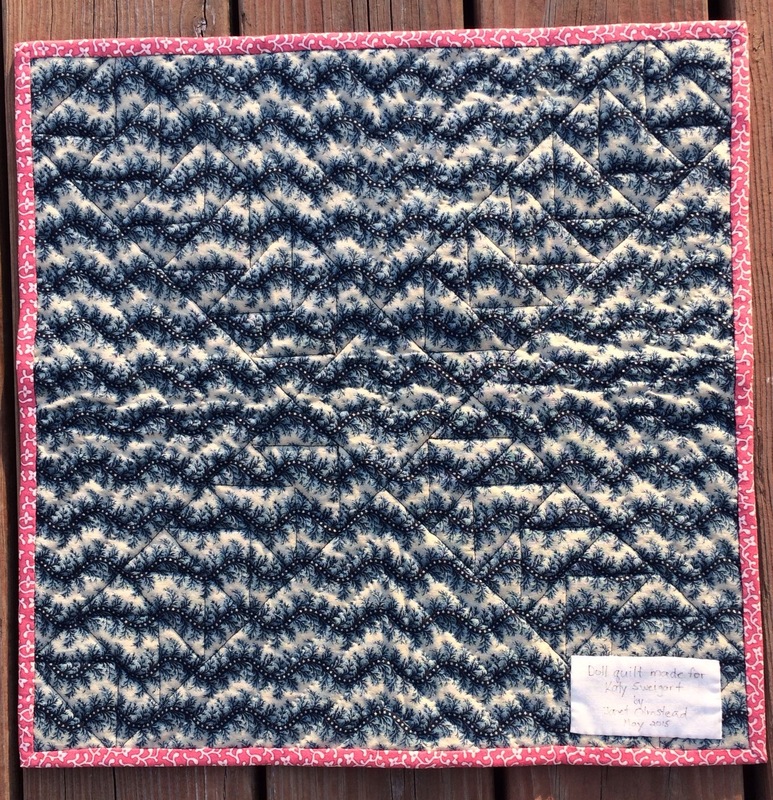 Definitely two lovely little quilts… glad the swap went well for both of you! 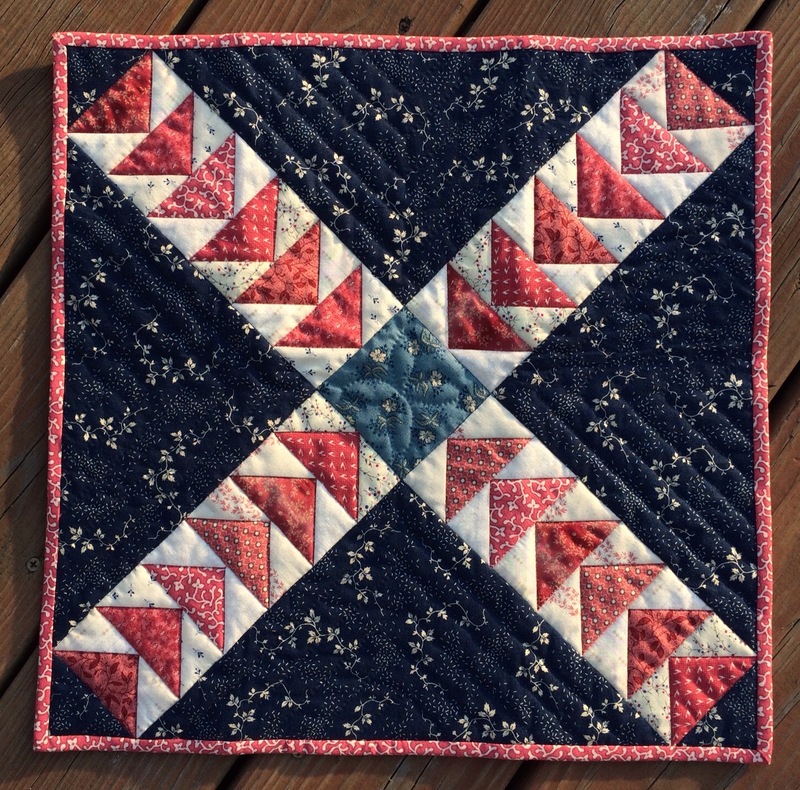 Such pretty little quilts! And the label you made is lovely! They are beautiful. You should both be very proud to have made & possess them. Lovely little quilt and the one you received is super cute too! Your label is just stunning. Love the embroidery.I love it when the labels are as creative as the quilt – seems fitting somehow. The small quilts I have been seeing are pretty wonderful. Love your label. What fun it will be to see the entire group if them. Really enjoyed participating. Both quilts are gorgeous !! Bravo ladies ! Both you and Janet did each other proud! These are gorgeous quilts and I can easily imagine how giddy you each were to receive such treasures Katy. And that label is so great too! Whoop Whoop for you!